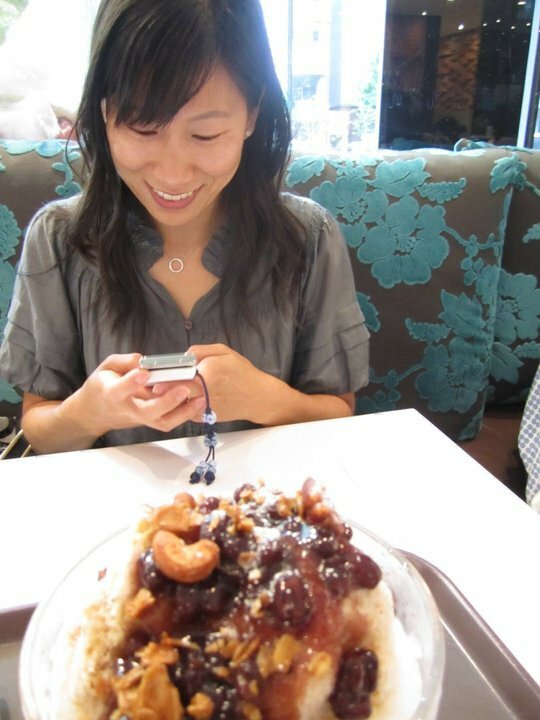 A typical moment: smiling, texting, about to eat 팥빙수, hanging out with a dear friend in a trendy cafe in Seoul. Wonderful website – intelligent, sort of “hip”, and meaningful. Thanks Sarah.